And even better than just being easy, I love appetizers that are easy and ridiculously tasty. You know the type—they're made with just a couple of ingredients but still get oohs and aahs from your guests. Well, look no further for your next appetizer that fits this bill! Then serve to your adoring audience! The pinch of sharpness from the pink peppercorns cut through the sweet honey and creamy brie—for a perfectly gooey bite. A bite that also happens to look like a Christmas ornament decorated in red and green! Turn on the broiler, to high if you have that option. 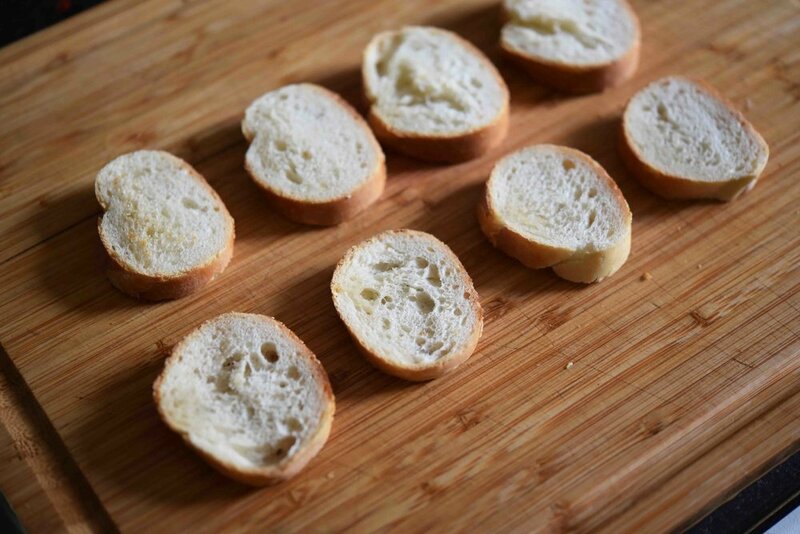 Arrange the baguette slices on a rimmed baking sheet. Top each of the slices with 1 piece of the brie and 1 teaspoon of the honey. Broil until the cheese is melted and brown—2 to 5 minutes. Remove the crostini from the oven and top each with another teaspoon of the honey, and a heavy sprinkle of both the peppercorns and pistachios. Serve immediately with a knife and fork, or simply pick up and enjoy!